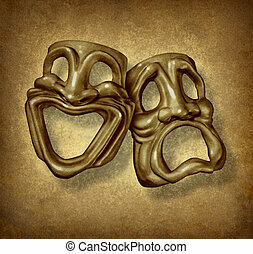 Comedy and tragedy. 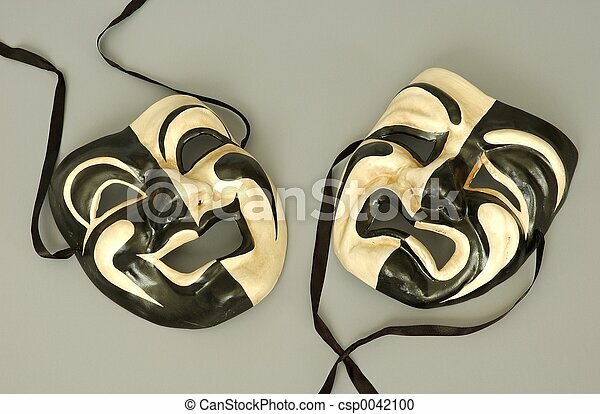 Comedy and tragedy masks with ties arranged accordingly. 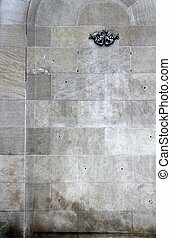 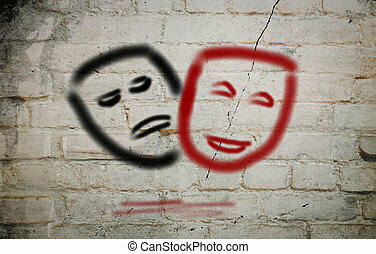 Weathered stone wall with metal sculpture of comedy and tragedy displayed on face of it. 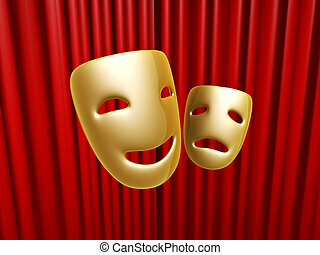 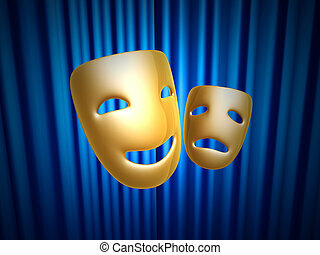 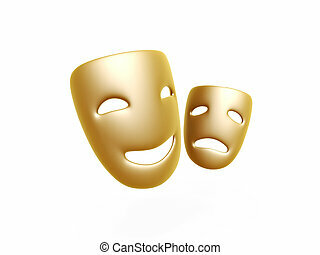 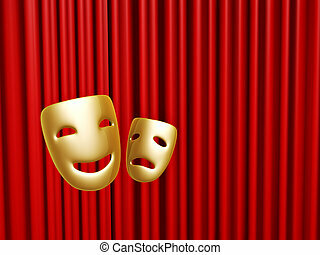 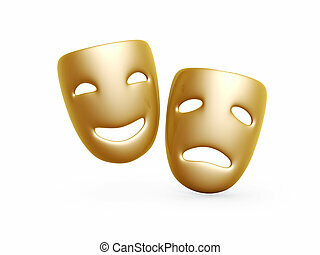 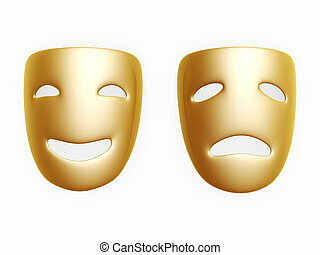 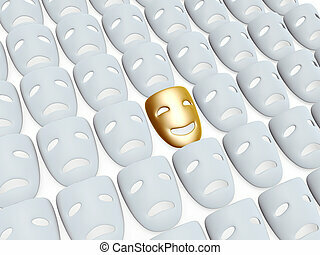 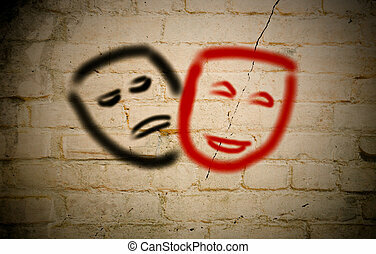 Classic comedy and tragedy grunge masks as a theater symbol and performing arts acting icon with a happy antique mask and a sad face on an old vintage grunge texture for classic movies of the silver screen era.